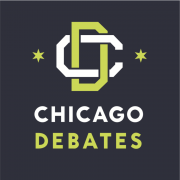 Chicago Debates relies on the support of the business community and individuals to fund its powerful and effective academic enhancement programs for Chicago’s students. We welcome sponsors for any of our regular tournaments, including our Conference Championships and City Championships, as well as our invitational tournaments. Lead sponsors typically have naming rights to the tournament and, for special invitationals, they work with our staff to identify an appropriate format. Sponsorship is also an opportunity for volunteer involvement. Sponsors’ staff members can serve as tournament judges, hosts, awards presenters, and speakers. Sponsoring companies often host tournaments in their offices. Recognizing that many of our students are low-income and may be food-insecure, we provide meals to students at all of our tournaments. We are seeking sponsors to underwrite the costs of those meals or provide in-kind donations. The Chicago Debate Summer Institute (CDSI) provides rigorous and important pre-season training for 100-150 debaters. Sponsors’ contributions underwrite the participation of low-income students in the summer institute. Naming opportunities are available for major sponsorships. Companies can “name” an award or set of awards at one of our tournaments. 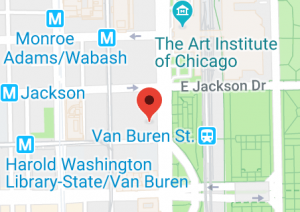 This opportunity is particularly noteworthy for our Chicago Debate Championship in the spring. Companies may choose to provide financial sponsorship to support the debate team at a particular school or set of schools. Recent team sponsors include Baker & McKenzie, DLA Piper and Quarles & Brady. Make Room for Debate is our fundraising luncheon. Table sponsorships ranging from $2,500 to $25,000 are available for this event, which includes an honoree speaker and features a debate by top students in the Chicago Debate League. All of the sponsorship opportunities identified above are also available for individuals. In the past, some donors have been pleased to sponsor an award honoring a particular individual (i.e. “The Jean Smith Top Speaker Award”).